Today, when you order "Exploring Magical Presentations by Eugene Burger - DVD", you'll instantly be emailed a Penguin Magic gift certificate. You can spend it on anything you like at Penguin, just like cash. Just complete your order as normal, and within seconds you'll get an email with your gift certificate. An intimate opportunity to learn from one of magic's greatest teachers, this DVD will help you think about your performing style, and grow as a magical presenter. We all know plenty of tricks, but how can we turn them into memorable magic? In this DVD session, Eugene Burger explores that topic, and provides specific examples-including fully developed routines that you can adapt for your own performances. 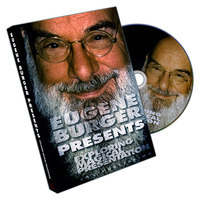 If you are a beginner in magic buy this DVD, you will find a precious knowledge from one of the best magicians around the world, presentation is a pillar in the art of magic and Eugene Burger is one of the best in this subject beside the coin trick is a gem. 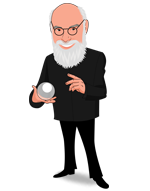 Complement this buy with his book The Experience of Magic if you are a serious magic student. First off, every effect on this DVD is worthy of your A list material, but Eugene goes further than that. He really makes you think about all of your presentations and gives you serious insight into his mindset for making them stronger. A truly must have for anyone who wants to improve there show.